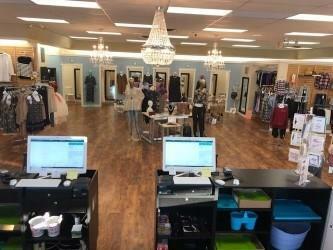 Amazing opportunity to purchase a new ladies boutique in Cochrane AB. Opened in November 2017 with all new renovations. 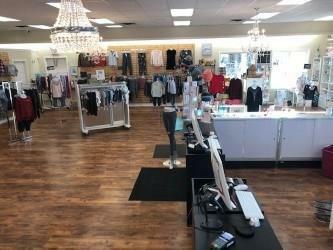 This store was put together by the owners after designing a number of stores over the past several years and is set up to host events & fashion shows quite easily. Seven chandeliers and all other lights are LED for energy efficiency. 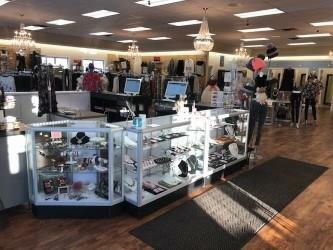 Over 20 feet of glass showcases to display jewelry etc. Six change rooms, a kitchen area, storage/pricing area & two bathrooms. This business is situated in 3660 sq. ft. with a glass foyer, large service area hosting two terminals and a large back service counter.This store has received tremendous customer support since opening and is growing every single day. 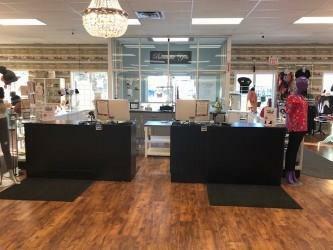 This business comes with many exclusive brands for the area as well as all equipment and training to get you going on the right foot plus on-going support. Owners are looking at slowing down. See additional comments.